Ms. Harris' quest to carry on the legacy of Johnny Appleseed. This is the textbook we were assigned for our educational technology class. As some of you may or not be aware, I am doing Florida's post-bac "career changer" path to teacher certification called Educator Preparation Institute (or EPI). That was a mouthful! I plan to teach both secondary Social Studies and English. 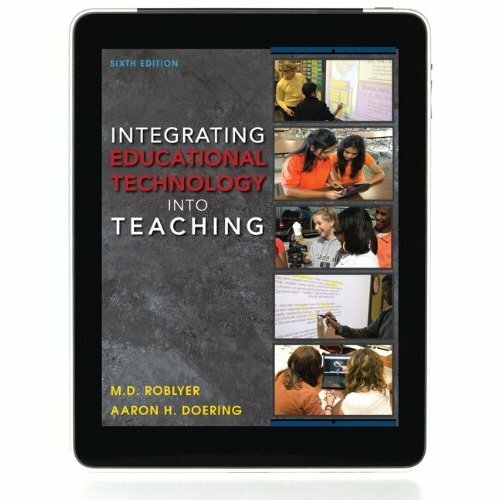 In Chapter 12 of this book, it zeroes in on specific ways that technology can be applied to Social Studies. Often, we are taught in these classes how to keep the students engaged and activities we can do for them but I was grateful that this book highlighted resources that us teachers can use to increase our knowledge of the content! I really think our program needs to add broad subject courses. The chapter talks about how the teacher shortages have forced many schools to ask teachers who specialize in one area of social studies to teach another area they may be less familiar with. I thought, how much more does this apply to me? Do I LOVE social studies? For sure, I spend much of my spare time reading across the discipline, participating in casual discussion and watching documentaries. However, I am on the "career changer" path, my undergrad degree is a a Bachelor of Arts in Advertising. I also had an outside concentration in African American studies, in which I took history classes like The Slave Narratives. Furthermore, due to the communicative nature of the Advertising field, we were required to take more courses than usual in social sciences but I am nowhere near the expert of someone who majored in the subject. When I completed my field experience requirement for the EPI program, I was paired with a mentor teacher in the classroom for a week. His name is Dr. Schmidt, he was a brilliant man who has his Ph.D. and has been teaching for 29 years. He teaches IB History of the Americas and AP World History. Dr. Schmidt had an amazing ability to retell history as if he had brunch with historical figures he taught about. He barely referenced notes and spoke seamlessly about everything he presented to the class. During my observation day, I taught the AP World History and was asked to cover the Chinese Han Dynasty and compare it to the Roman Empire. The Computer Almost Got Me!